This page contains dozen of articles from SAGM (South African General Mission) magazines, as with the prior page on Brethren Missions. Both pages contain key articles describing their new “little school(s) in the bush” and encouraged supporters to send help. (Both mission groups are described at great length in the e-book.) On both pages, hundreds of journal articles (pdf format) can be opened through pull down menus and read online. Some tips on using these old articles. All have been added to the website by the same method used on a prior webpage “Archive Transcripts” , i.e., when the user clicks on the link, the material pops up in a separate screen (window). As indicated, pop up page may contain twenty or more pages. A divider separates each segment; generally just a year or two. To help the reader, the chronological pop up pages are numbered by numerals, e.g., A1, A2, B, C, etc.. The pdf files from periodicals often contain extraneous research side notes, which helped me write my dissertation over three decades ago in the pre-computer days. Obviously the reader must ignore these. 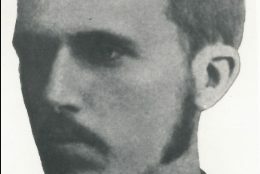 1910 – 1914 — South African Pioneer, 15 pp. Geographical terms and place names include: “Forward Movement,” Chisalala, Garenganze, Miambo, Kansanshi and Lalafuta. “Actors” include: F.S. Arnot, A.W. Bailey, John Pupe, and Ernest Harris. 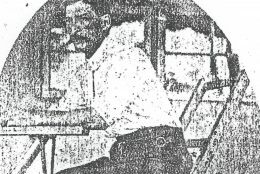 1915 — South African Pioneer , 6 pp. Key geographical terms were “Forward Movement” and geographical and place names include: Chisalala, and Lalafuta. “Actors” include: W. Roy Vernon, A.A. Wilson and A.W. Bailey. Comments on the historical maps, A.W. Bailey and F.S. Arnot. 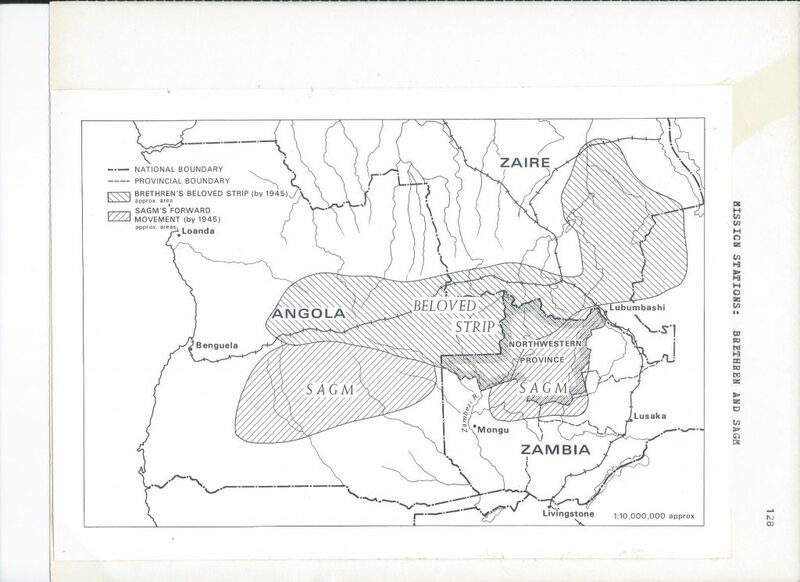 The map in the middle is from my dissertation and shows these two cooperating missions areas of missionary work in Angola, Congo and Northern Rhodesia. F.S. Arnot (right) from the Brethren assemblies helped A.W. Bailey from SAGM (left) start his work in their respective and adjoining areas. The picture of F.S. Arnot is different from the one on the previous Brethren page; the dates for both are unknown. 1916 — South African Pioneer, 22 pp. Geographical and place names include: Lalafuta, Chisalala, and Kansanshi. “Actors” include: A.A. Wilson, W. Roy Vernon, John Pupe, Walalabaya, A.W. Bailey, and Ernest Harris. 1917 — South African Pioneer, 23 pp. Geographical and place names include: Chisalala, Musonwedzi (“Blanche Memorial Mission Station”). “Actors” include: Ernest Harris, A.W. 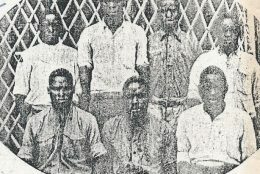 Bailey, W. Roy Vernon, Ernest Harris, A.A. Wilson, John Pupe, Charles Foster, and Andrew McGill. 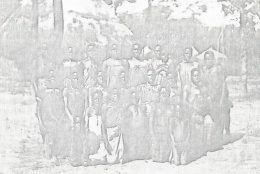 Comments on the above photographs: In the two left photos Mr. and Mrs. Harris appear with groups of young adherents. 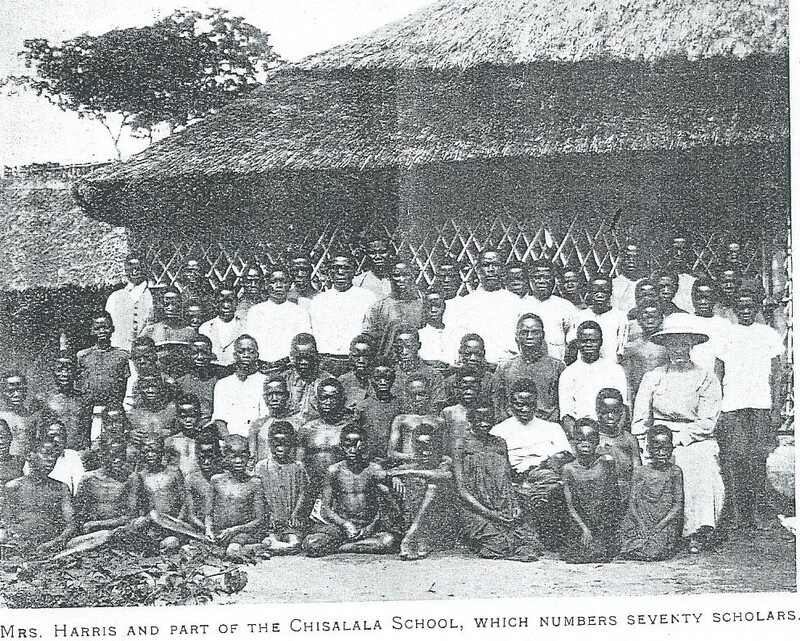 The one with Mrs. Harris says it contains 70 scholars at Chisalala. 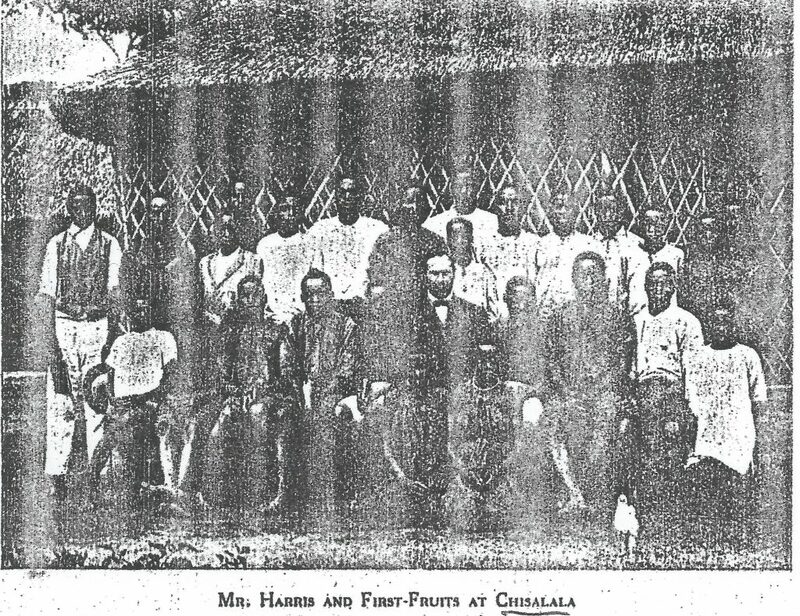 The one with Mr. Harris appeared twice in 1916 and 1918 and one photo says it was taken at Chisalala and another says “Kansanshi” probably because the new place names given by SAGM for their missions were still being decided. 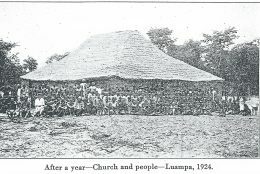 The photo of the right appeared in the magazine in 1924 and is labeled the church at Luampa, which was many kilometres to the south in a new area of evangelizing. 1918 — South African Pioneer, 22 pp. Geographical and place names include: Chisalala. “Actors” include: A.W. Bailey, Ernest Harris, J. Jakeman, June Foster, W. Roy Vernon, and Andrew McGill. 1919 — South African Pioneer, 28 pp. Geographical and place names include: Chisalala, Musonwedzi (Blanche Memorial), and Kansanshi. “Actors” include: Andrew Murray, A.W. Bailey, F.S. 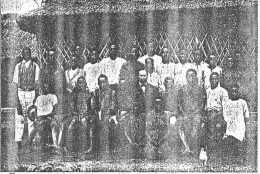 Arnot, Ernest Harris, Charles Foster, Edgar Faithful, W. Roy Vernon, A.A. Wilson, and Miss P. Cowl. 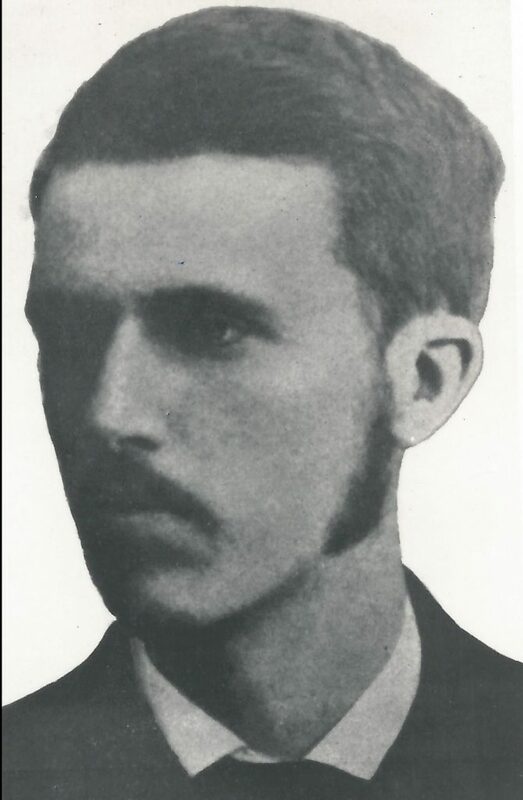 1920 — South African Pioneer, 17 pp. Geographical and place names include: Chisalala, and Blanche Memorial. “Actors” include: Miss P. Cowl, Herbert Pirouet, A.W. 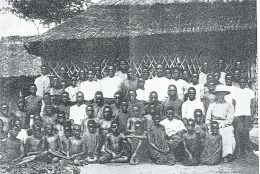 Bailey, Florence Alderton, Charles Foster, A.A. Wilson, Kapijimpanga, John Pupe, and Miss C.W. Mackintosh. 1921 — South African Pioneer, 21 pp. Geographical and place names include: Chisalala, Musonwedji, and Blanche Memorial. “Actors” include: Florence Pirouet, Herbert Pirouet, June Foster, Charles Foster, Miss P. Cowl, A.W. Bailey, and Kapijimpanga. 1922 — South African Pioneer, 17 pp. Geographical and place names include: Chisalala and Musonwedji, . “Actors” include: A.W. Bailey, Herbert Pirouet, Florence Pirouet, Ernest Harris, John Pupe, Edith Shoosmith, and A.A. Wilson. 1923 — South African Pioneer, 19 pp. Geographical and place names include: Chisalala and Musonwedji. “Actors” include: A.W. Bailey, Miss P. Cowl, Charles Foster, Herbert Pirouet (his article: “The Gates of Hell Shall Not Prevail”), Kapijimpanga, Edith Shoosmith, A.A. Wilson, J.A. Rhinehart, E.M. Jakeman, and Pearl Maben. 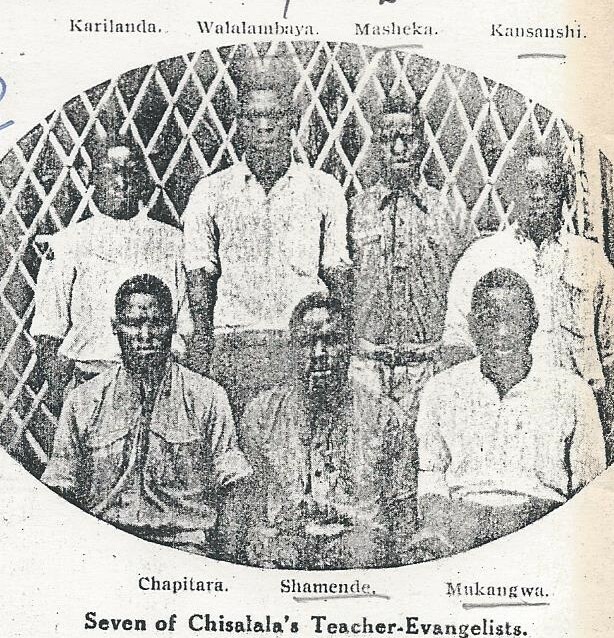 Comments on the above photographs: The photo of the seven teacher-evangelists appeared in the magazine in 1918 with the names given for each. 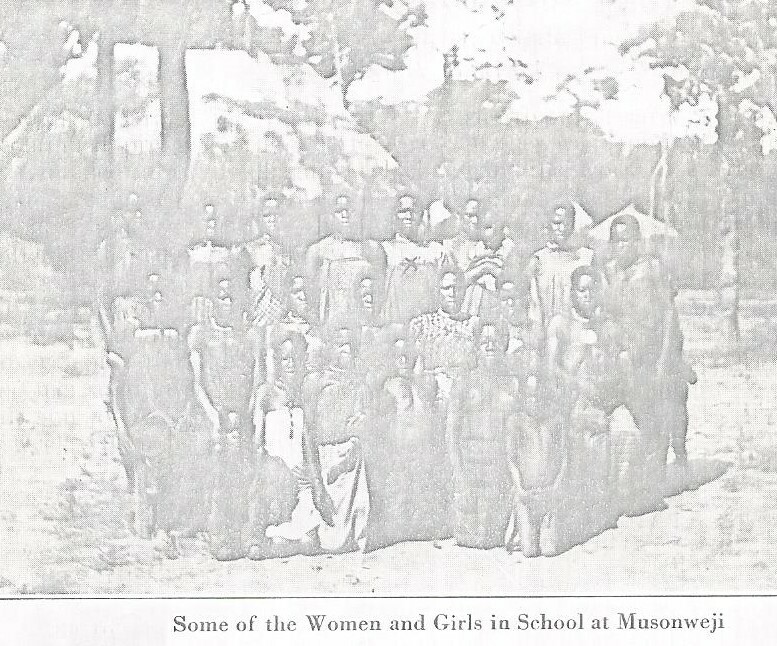 The photo of these women and girls in school at Musonweji appeared in 1923. 1925 — South African Pioneer, 22 pp. Geographical and place names include: Chisalala, Musonwedji, Luampa, Mankoya, and Kaba Hill. “Actors” include: A.W. Bailey, Herbert Pirouet (his article: “The British Empire Exhibition”, Florence Pirouet, John Pupe, Edith Shoosmith, E.M. Jakeman, Miss P. Cowl, Martyn Watney, and Charles Foster. 1933-1941 — South African Pioneer, 11 pp. Geographical and place names include: Mukinge Hill, Mutanda Bridge, and Kaba Hill. “Actors” include: A.W. Bailey, June Foster describing Watch Tower (Kitawala), Gordon McLachlan, John Pupe, Ezekiel Malata, and Charles Foster. Plus, Forward Movement. 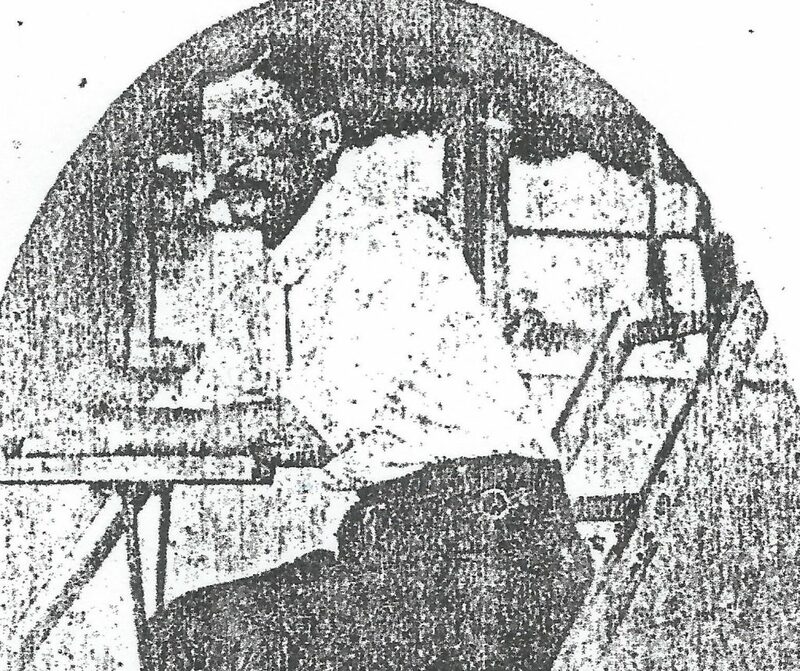 Notes and Comments on the South Africa Pioneer. It started in 1887 and continued beyond 1945. It was published in Wimbledon in England. It was supplemented for some years (1920-1936 and from 1942 onward) with an American edition, see below. 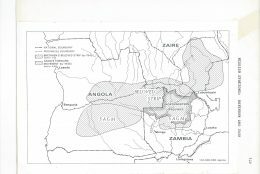 In Sept. 1909 at their “Third General Conference” in Durban, they planned to advance eastward into western Northern Rhodesia from their Angolan base of mission activity. It was called their “Forward Movement” and is referred to many times in many articles. 1920-1945 —South African Pioneer (American), 10 pp. Geographical and place names include: Luampa, Musonwedji, and Blanche Memorial. “Actors” include: A.W. Bailey, Charles Foster, Edith Shoosmith, and Peter Letchford. On Trek was a magazine for children. It was started in 1927 and continued beyond the period of my work. There were limited materials of importance for my studies. Unfortunately even the few useful articles have been lost.